Featured here is a stunning pair of 21" McGuffey Ana early hard plastic dolls from 1948 by Madame Alexander. Part of the strategy of Alexander was the tie into literary characters. McGuffey Ana is from the McGuffey Electric Reader series of books for American children. As a doll, McGuffey Ana has had a long history with the Alexander Doll Company, from composition to early hard plastic and present day. 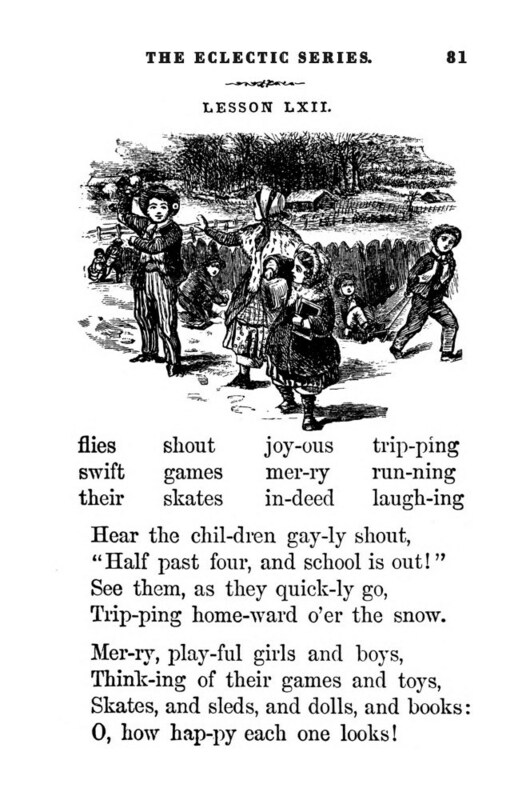 It is estimated at least 120 million copies of McGuffey's Readers sold between 1836 and 1960. Filled with happy tales, good morals, and a systematic approach to teaching reading exemplifies why McGuffey's Readers have been among the most loved and most used books in American history. McGuffey's Primer starts out with the basics of the alphabet and gradually builds up the phonics skills and sight word recognition until the child is reading full paragraphs and narratives. The strength of this Primer is in its sequential gradation of skills. Its beauty is in its timeless stories. 21 inch McGuffey Ana 1948 early hard plastic by Madame Alexander - This example wears a pale blue organdy apron. A stunning doll, McGuffey Ana is dressed in children's Victorian fashion of a purple velvet coat with fur edging, and matching muff. Baby blue lining that matches her dress and lines the coat's hood. She wears a cotton voile dress with lace trim. This glorious McGuffey Ana won five ribbons at the 2011 Atlanta Madame Alexander Doll Convention.